2008 - 3rd (a somewhat anomalous year; due the CRA stubborness, we were technically entered as S3 and S4, and not allowed to count as one crew; but we would have been third. Note only two legs that year). That's quite pleasing. Tabs 2 have significantly upped their game over leg 1; we'll need to strive to hold them off. We just exceeded 1:30 briefly at the start. 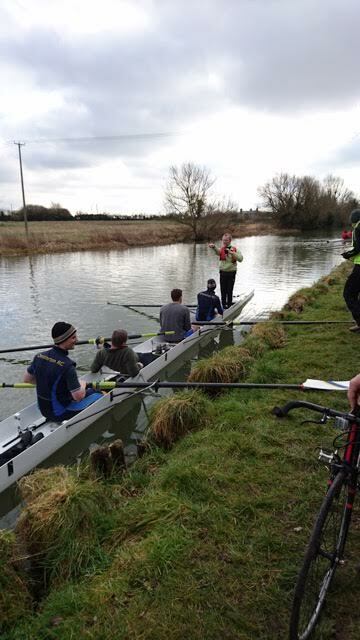 Most of the top crews took a minute off their leg 1 times in leg 2; the weather switched from a headwind in leg 1 to a tailwind in leg 2, stronger in the later divisions. 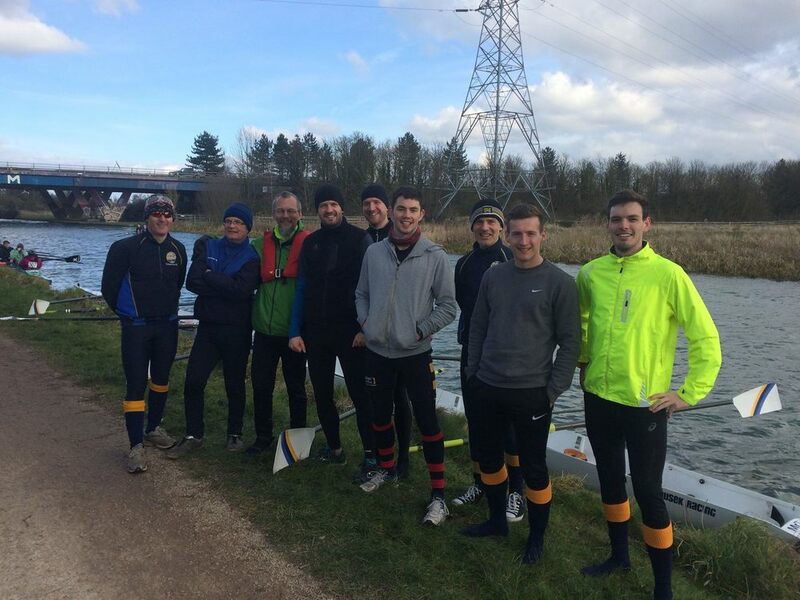 The men's novice crew just before the off, looking keen, as well they might: still leading the men's novice category, now by a minute! Steven and Katherine are currently at #76 (tied with Sarah Airey!) with 13:43 12:16 25:59. 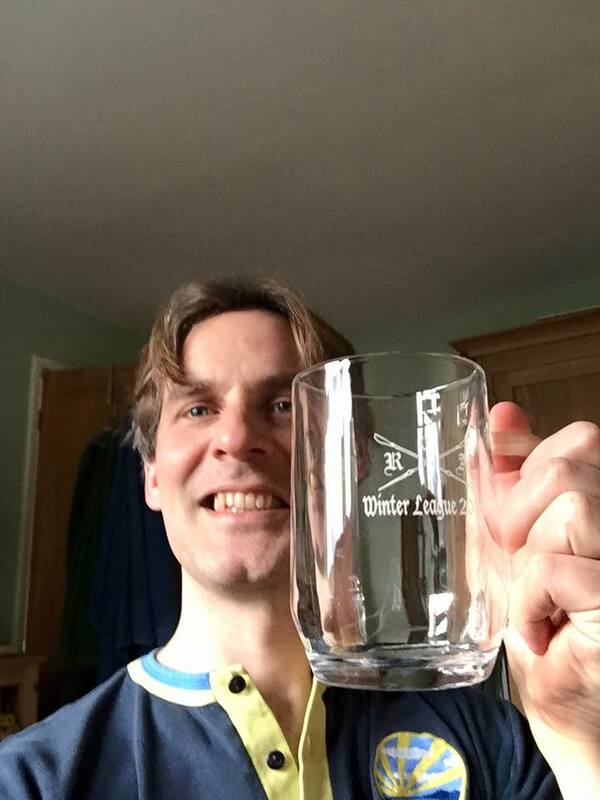 And lastly Keith Lee is holding the Chesterton Sculling Crown at #129: 16:51 14:13 31:04.